billboard, poster mobile vehicle and other outdoor and public large-scale posters or displays, and illuminated and projected displays and irrevocably waive all image rights, performers’ rights and similar rights worldwide. Entrants agree that their submitted photograph may be combined with text and any other media, and may be altered, cropped or modified. 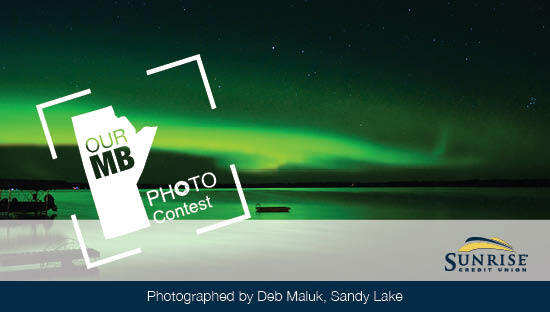 Entrants waive the right to inspect or approve any use of their submitted photograph. Entrants acknowledge and agree that they have no right to consideration for such usage of their submitted photograph and hereby release and discharge Sunrise Credit Union from any liability by virtue of any uses, including any claims for libel and invasion of privacy, to the extent permitted by law. Entrants release Sunrise Credit Union from any liability and undertake not to prosecute or to institute proceedings, claims or demands for any remuneration, or otherwise, against Sunrise Credit Union in respect of any usage of their submitted photograph. Entrants who submit photographs in which they do not own the copyright, or in respect of which they are unable to grant a valid license on the terms above, agree to pay for all costs, damages, awards, fines, penalties and losses that first direct suffers as a result of using that photograph.